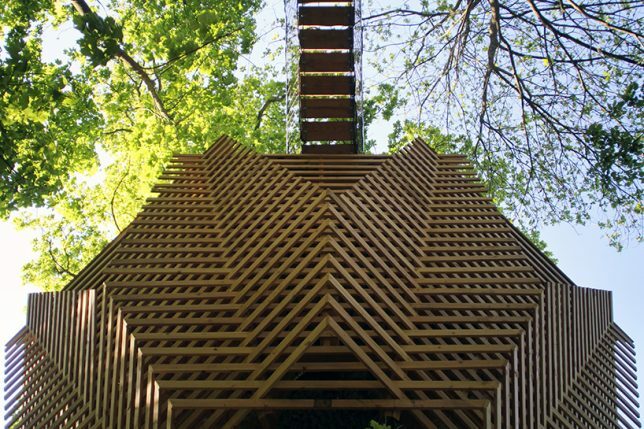 Encircling a 100-year-old oak – the tallest tree on the Château de Raray hotel property in France – the ORIGIN tree house by Atelier Lavit is envisioned as a tailored wooden ‘dress’ to make the oak stand out even more. 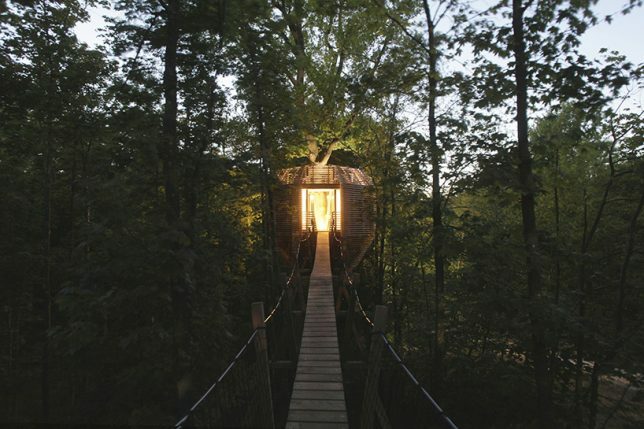 This modern timber pod functions as a tree house hotel room, providing surprisingly spacious and comfortable lodgings accessed from a hanging bridge. 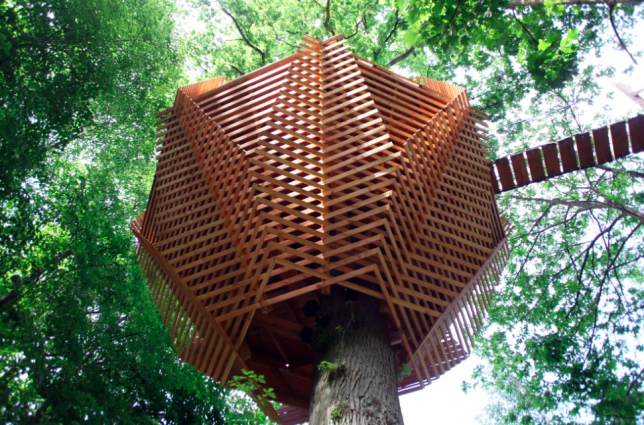 Each facet of the geometric structure intersects the other, creating dynamic overlapping lines. 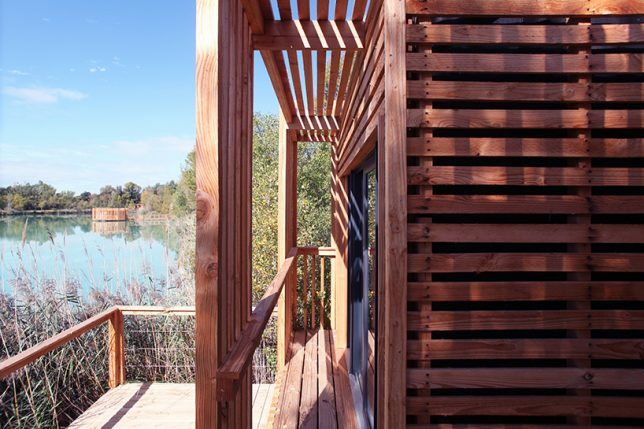 The effect is that of an abstracted bird’s nest – which is exactly what the architects were going for. 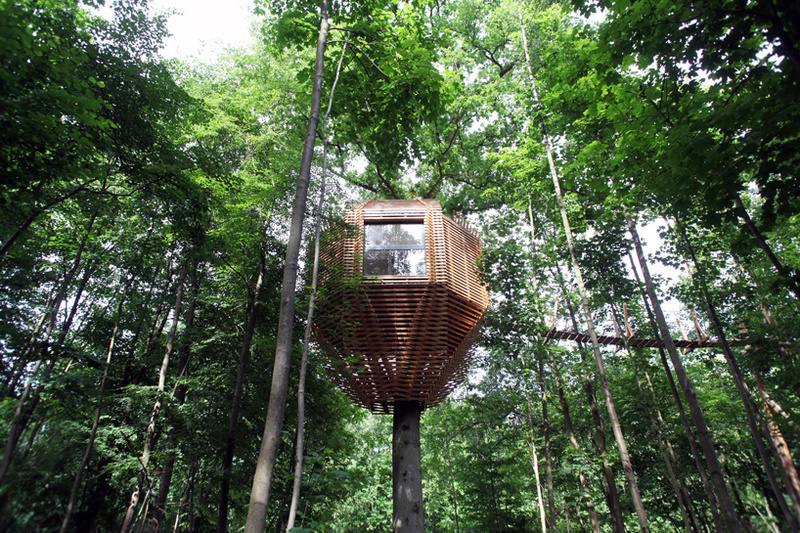 “The design of the cabin, coupled with the construction techniques, led to a rationalization of the assembly logic of the branches collected by the birds to create their impregnable shelters,” they explain. 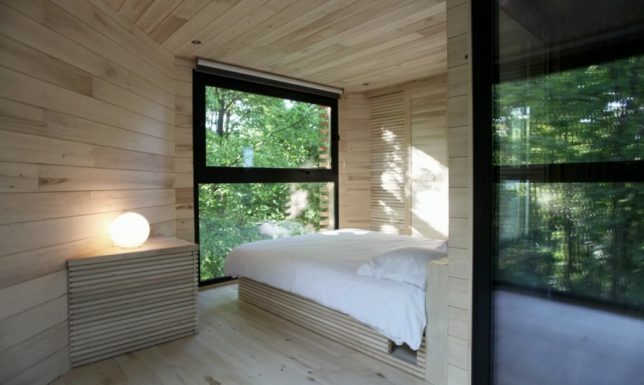 Measuring just under 250 square feet, the room includes a small sheltered patio from which the interiors are entered. 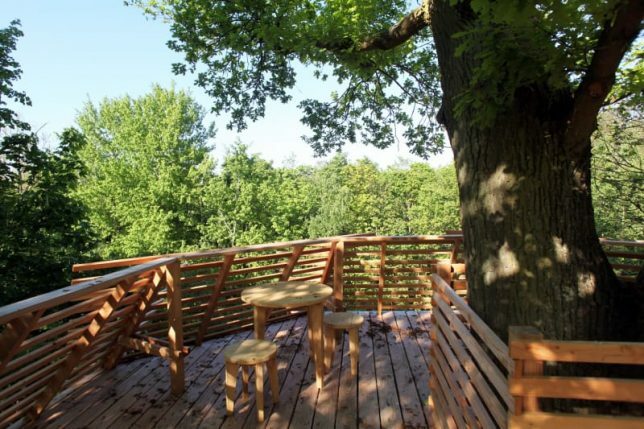 Keep climbing the ladder set beside the tree’s trunk instead, and you’ll find yourself on the tree house’s rooftop terrace. 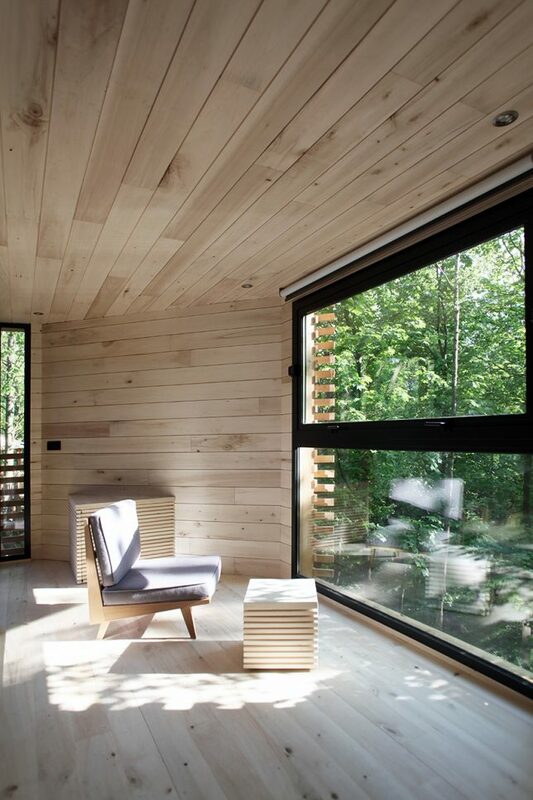 Inside, the tree house is lined in pale wood with matching custom furniture. 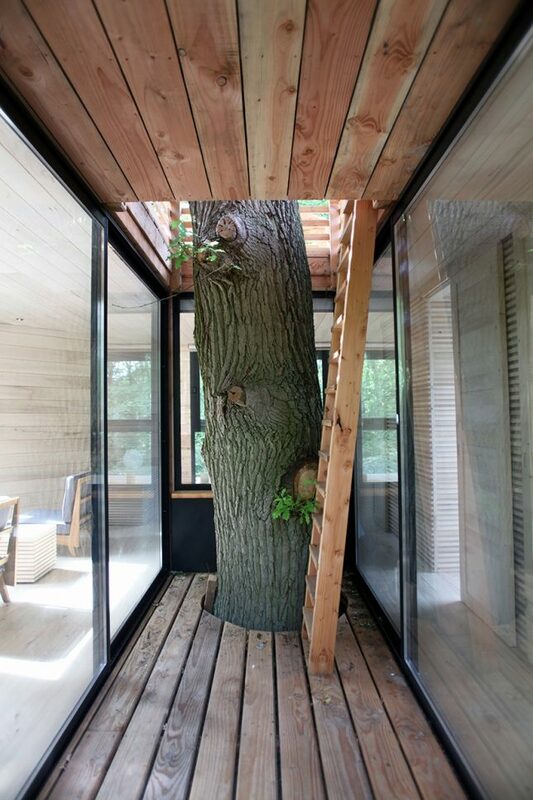 Guests enjoy a generously-sized bed looking out a large operable window to the branches beyond the glass. 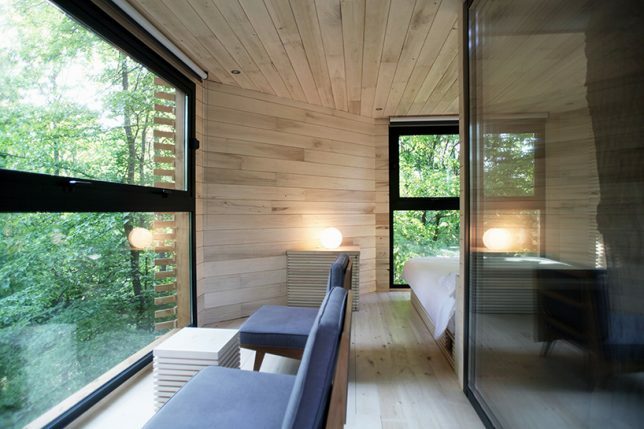 The room also includes a sitting area and a private bathroom. 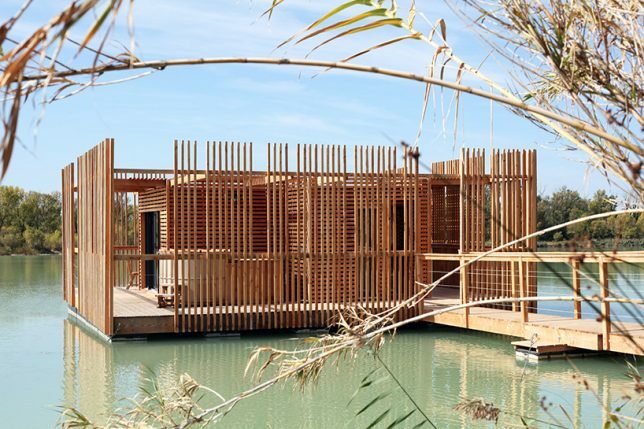 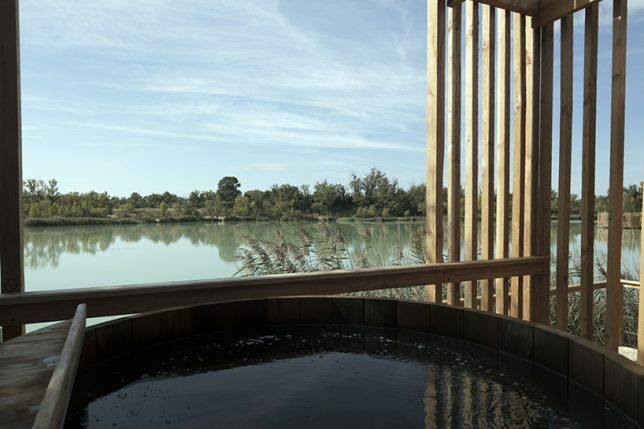 Atelier Lavit recently took this same aesthetic in a different direction with a floating eco-hotel on a lake near Avignon, France. 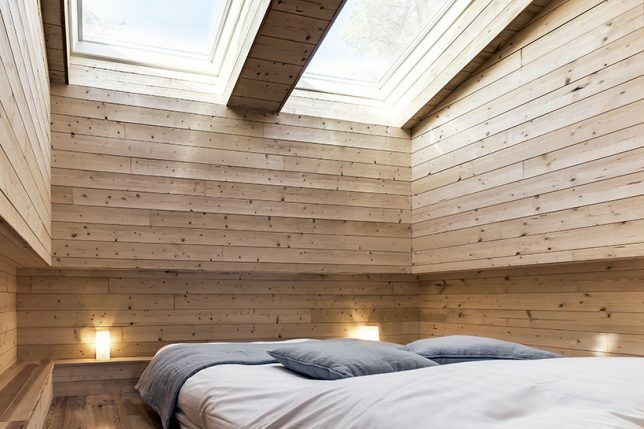 The series of buoyant suites on Lac de la Lionne are enveloped in criss-crossing timber slats, creating a semi-private outdoor area complete with a hot tub, while the beds inside are placed directly beneath skylights for a view of the stars.